After captivating RHS Chelsea Flower Show visitors for the last two years with their beautiful designs, the Blue Forest team are back, this time collaborating with celebrity-favourite Chewton Glen Hotel & Spa to bring their most inspiring treehouse yet to the world-renowned horticultural event. Strictly stars Joe Sugg and Dianne Buswell will open Blue Forest and Chewton Glen’s treehouse at the RHS Chelsea Flower Show. 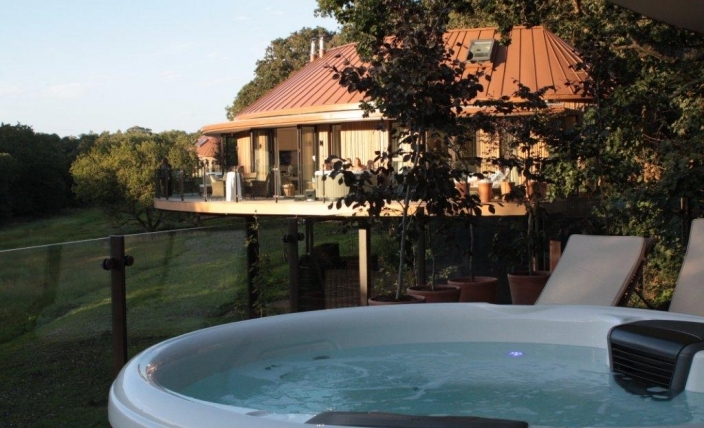 The couple enjoyed a recent stay in a treehouse suite at the hotel, so were the natural choice for the occasion. Designed to help ‘rediscover your inner child’, this year’s creation will include a cosy reading nook, lounge area and even a fully functioning kitchen. It’s the ideal treetop retreat for children to learn and play, with purpose-built furniture, intricate rope work and an interior design scheme inspired by the hotel’s quintessential English country garden. After the show, the Treehouse will be transported to its new home in the grounds of Chewton Glen in Hampshire. It will be used by the hotel’s popular children’s club. Blue Forest and Chewton Glen have worked with each other before. Blue Forest designed and built ‘The Treehouse Suites’ at Chewton Glen Hotel, which were made famous by an impromptu visit from vlogging phenomenon Zoe Sugg – aka Zoella – and her well-known YouTube star boyfriend Alfie Deyes. The star couple recorded YouTube videos during their stay, documenting the luxurious interiors and the stunning forest views visible from the hot tub. It makes perfect sense that now Zoe’s brother Joe and his girlfriend Dianne Buswell will be opening the Chelsea Treehouse on Press Day. Known for his cheeky challenges, entertaining pranks and enjoyable impressions, Joe is an expert at making people laugh, and is sure to help everyone rediscover their inner child on the day. Located on the show’s famed Main Avenue, the Blue Forest and Chewton Glen Treehouse will also feature a striking planting scheme designed by Architectural Plants, who have a passion for using interesting and unusual species. To honour the RHS’s Back To Nature feature garden, which is being co-designed by designers Andree Davies and Adam White with HRH The Duchess of Cambridge, the nursery is creating a light-hearted and fun woodland planting scheme, designed to encourage children and grownups alike to spend time outdoors reconnecting with nature. Filled with sensory plants specifically chosen for their unique textures, shapes, scents, colours and even tastes, the scheme still cleverly maintains the outstanding aesthetics for which Architectural Plants are so well known. The Blue Forest team will be available throughout the show to answer questions. You can find them along the Main Avenue on stand 329. 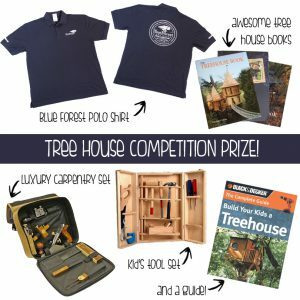 Click here for more information about this year’s RHS Chelsea Treehouse.